Many people choose to ride motorcycles solely for the pure love of the open road. The freedom provided by that mass of metal and gasoline is something that is impossible to replicate in a controlled setting. As extreme and thrilling as all that can be, it’s kind of funny to think that a few pieces of rubber is all it takes to facilitate it all. That’s right, the only thing between the bike, the rider, and the road are the motorcycle tires. That means that in order for them to hold up to all of the pressures and expectations put on them, they need to be strong, sturdy, and built to last for thousands of miles. It’s a good thing then, that most of the tires on the market today, and certainly each of the products on this list, are more than capable of delivering all of the performance that could ever be needed. The selections that have managed to make it on to this list are all going to be among the very best offerings across the entire spectrum, all so the consumer can make the choice best suited to their individual needs. There is just so much to choose from, but fortunately, unlike other markets, each tire available is going to be a solid choice that is sure to perform to expectations. However, that doesn’t make the decision any easier. Every tire out there is just a bit different, and in turn, will act in a different way when put on the pavement. So it is the purpose of this buying guide to sift through a good majority of what’s out there, eventually ending up with ten of the best possible choices that encompass as many different aspects as it can. This list isn’t a be-all-end-all, but it should serve as a solid place to enter into the world of motorcycle tires. Now, with that out of the way, let’s get right into it. It’s becoming pretty clear that Michelin is the gold standard in the world of motorcycle tires. They’ve been around for a long time, and have perfected the art of motorcycle tires, and consistently put out offerings that would make even the most hard-core riders proud to own. This particular selection has a very small tread pattern, making it ideal for hard pavement, but perfect for the track. Wherever they go though, the one consistency they bring with them is their incredible level of performance. These tires are made for track days at high speeds, hence the almost bald they have due to them having very little tread pattern. However, Michelin chose to design and build them to be right at home on the street as an everyday tire. Finding versatility like this is a very welcome bonus. One of the scariest aspects riders face, especially at high speeds, is the cornering. During this time, all of the weight of the bike is resting on a very thin portion of the tire. That’s why Michelin used a softer rubber mix on the edges of the tread, which gives the tire phenomenal traction to carry the bike through the turn in a very efficient manner. 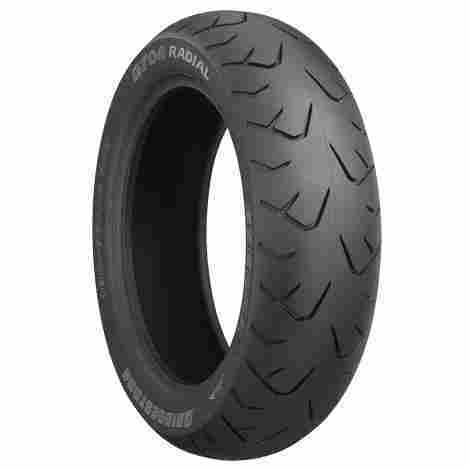 This tire has all of the high end Michelin quality that riders have come to expect over the years, and it comes at a very reasonable price point that was far from expected. It doesn’t cost much at all, but what it provides is top notch function and value that is a rare find in this day and age. This is a very slick looking tire. Not in the sense of tread pattern, though there isn’t a whole lot of that there. Rather, these tires have an attractive aesthetic that adds more than just cosmetic appeal. 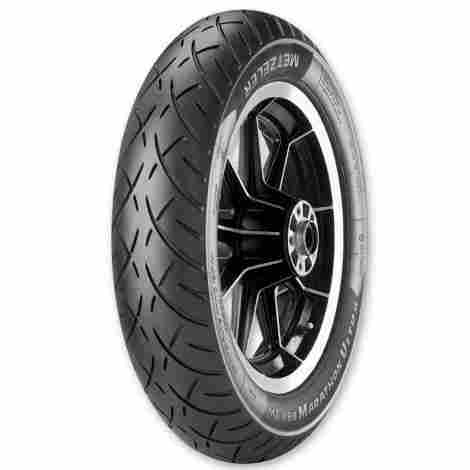 Metzeler may not have quite the pedigree of a company like Michelin or Bridgestone, but they are constantly proving that they can hold their own quite well. They just have a high tech look that boasts enough innovation to push these tires right up near the top of the pile. The tread pattern of these tires has been vastly redesigned and improved in order to provide better water drainage, letting them handle and brake better on wet pavement. This also lets it perform equally well in both high and low speeds, sacrificing no handling or stability in either situation. Metzeler is a German company that has become famous for providing their tires with the ability to run for thousands of miles before even beginning to show any signs of wear. Granted, most tires are going to last several thousands of miles, but these ones just seem to go on forever, outlasting even the biggest brand names. These tires come off as being a bit more specialized, which does in turn lead to the price being a bit higher when compared to other comparable selections. In that price, though, is included technology that brings ultra-high mileage and superior longevity, greatly balancing out the difference between the cost and the value. Reasonable cost in return for excellent value? Yes please. Given all of the coverage given to these particular tires, the Commander II seems to be the holy grail of Michelin’s already outstanding lineup of high quality tires. Ever since they were released, riders of every skill level and discipline have flocked to them, just to see how well they hold up in terms of performance. Unsurprisingly, the vast majority of these riders have since remained loyal. The motorcycle tire industry is constantly changing and evolving, so for one tire that has been around for a while to still command the attention that it does, it must be something pretty special. For decades, Michelin has built a reputation as one of the biggest and most dependable tire brands that money can buy. Just the name is enough to sell tires, but that doesn’t mean that they rest on their laurels. On the contrary, Michelin is just as well-known for their innovations as they are for classic, old-school reliability. This isn’t so much a feature found on the tires themselves, but still is a direct result of the quality that Michelin puts in to all of their products. The biggest indicator of a company that knows what they are doing is how many customers that they manage to retain. Many of the riders that have given the Commander II a chance are still using the tires to this day, through four or five tire changes. It’s funny that for all of their accolades, Michelin tires are not anywhere near the top where price is concerned. Most other companies that gain that level of notoriety quickly raise the prices to almost ridiculous heights, and people will more often than not pay it. These guys don’t seem to care, and continue to make amazing tires for a very middle of the road price. This buying guide is really just becoming a forum for Michelin tires. With three of the top four spots on this list, it’s clear that when most people are in the market for the perfect motorcycle tire, this is often the brand that comes to mind. However, this is the last time they show up here, in the name of fairness. This offering is probably one of the best all-around long distance tires that money can buy, and that’s reflected in the price. They are a bit more expensive, but are made to stop shorter on wet surfaces which increases the level of safety enormously. They’re also built to last longer, so every dollar spent on them hoes that much further, ensuring unmatched value. This touring tire from Michelin is going to perform admirably in dry, ideal conditions. That’s all well and good, but what can it do when the weather takes a turn, and rain starts pouring down, covering the road in a glistening sheen? It’s going to hold up equally well in any road condition, but nevertheless, just make sure to slow down on wet roads. The very nature of this tire allows it to give a whole lot of grip in every possible angle that touches the road. Not only does this ensure that the bike will stay upright on the road in even the tightest turns, but it also gives so much peace of mind as well as the confidence needed to get through that turn and on to the next. Finally, we’re looking at an expensive tire from Michelin. Normally, this isn’t something to be excited about, but when every single high performance tire that they make is so affordable, it becomes almost a game to find one that slips through the cracks. However, these tires still hold up with the best of them when it comes to value. If a Michelin tire can be considered even remotely expensive, then it’s a safe bet that it is an exceptional tire. Finally Bridgestone makes an appearance on this list. They are another company that are about as well-known as Michelin, for all the right reasons. The difference is that their claim to fame is more of the four wheeled variety. 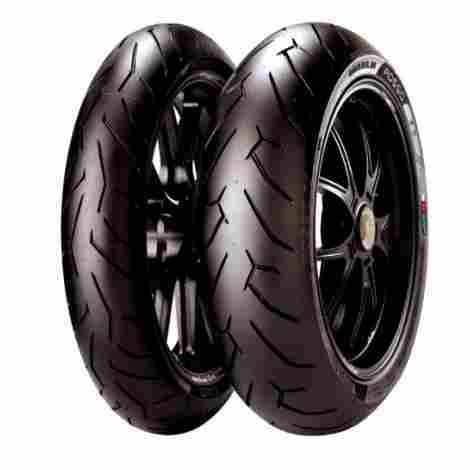 Still, they decided to make their presence known in the world of motorcycle tires, entering with a top-of-the-line option that gives the consumer yet another incredible choice with plenty of bang for their buck. 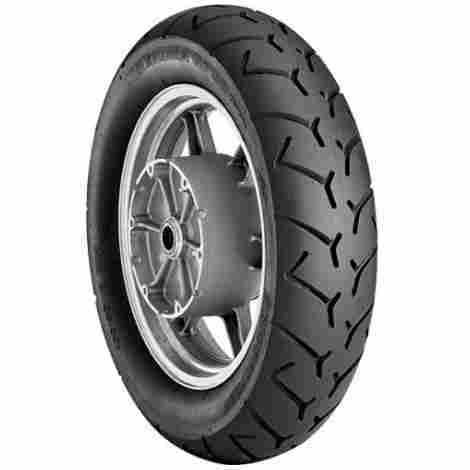 This tire was designed by Bridgestone to be the OEM tire for Honda’s much-loved line of Goldwing touring bikes. If a company with a reputation like Honda deems it necessary to entrust their bikes with this tire, that’s an endorsement that really means something. Most tires on touring bikes have a habit of developing a lot of noise, especially when the bike reaches higher speeds. This can be distracting to say the least. Bridgestone decided that wasn't acceptable, so they designed this tire to handle high speeds and long distances without making a lot of noise. Everyone knows Bridgestone as a high end tire producer, and that fact shines through in the price. They are expensive tires, costing on average twenty percent more than the leading brands. However, the value offered by the unmatched construction and performance starts to instantly make up for the price, and thousands of miles later, when they are still going strong, their worth will really shine through. 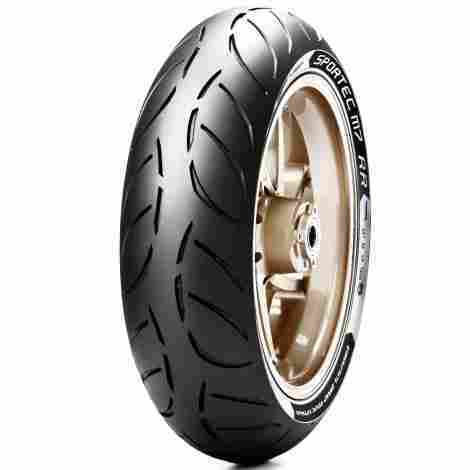 The second offering from Metzeler to show up on this list is yet another fine example of what a great motorcycle tire is capable of. They are yet another company that takes what they’ve learned on the racetrack and transferred that knowledge seamlessly on to their street tires, giving riders all the professional quality they are famous for at an affordable price. Unparalleled quality and expert craftsmanship are all present in every inch of these tires. The amount of grip found on these tires is enough to keep the bike sticking to the pavement while navigating the tightest turns, while not giving any signs of slippage whatsoever. Race track handling carried over to the city streets means a safer, more enjoyable ride all around. Now, when out on the open road, it is not recommended to actually get the bike up to those speeds, as that is meant for a closed track. Regardless, theses tires are built to hold up, no matter how fast the bike is going, and still last for many miles. 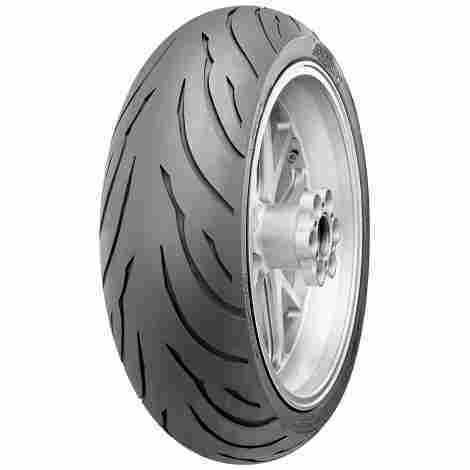 Metzeler has a habit of delivering professional grade performance and construction in a tire that is very reasonably priced. That way, riders of all skill levels can get a taste of what the top competitors get to use on a daily basis. This provides excellent value in a crowded market. Here’s yet another Bridgestone tire to make the list, and this one is very similar to the previous entry. It’s not completely identical, though, and has enough unique aspects about it to fully deserve its spot in this guide. Even if it was pretty much the same tire, it would still merit at least consideration, because it would mirror everything the company did right when putting it together, which was quite a lot. Bridgestone quality is just so good that it bears repeating as many times as possible. These tires by Bridgestone were specifically built with the Japanese cruiser bikes in mind. This includes world renowned Honda Goldwing models, and a whole host of other top level bikes. These cruisers happen to be some of the most widely used bikes out there, so any rider looking for increased handling, stability, and mileage for their touring bikes need look no further. An important aspect that makes Bridgestone such a recognizable name is their almost unbelievable consistency. Every tire they make is at a high standard that many other companies can’t compete with. The phrase “you get what you pay for” has never been more true when looking at these tires. What you pay for is dependability, and that’s exactly what you get. When buying a tire from a reputed brand like Bridgestone, it’s important to keep in mind that they go above and beyond in terms of their expectation s and attention to detail when it comes to producing a superior product. That level of effort is more involves and carries an increased production cost, which is transferred to the consumer unfortunately. However, it all results in a tire that will carry its rider for thousands of miles with the utmost competence. Continental decided to go in a bit of a different direction when they designed this tire. Other brands like to make products for the seasoned rider, showing off their new wares for acceptance and approval form a discerning crowd. Not wanting to ignore the rookies, though, these guys made an entry level tire specifically for them to cut their teeth on. A lot of first time riders eventually become lifelong enthusiasts, so starting them off with this high quality offering can breed return customers for years to come. It has all the features of more expensive brands, with a price that makes them easy to get in to. This tire will last for a very long time, especially for how little it costs. What makes it stand out is how long it sustains maximum tread and performance before even beginning to show any obvious signs of wear. It will continue to look and work just like new for several thousands of miles, and only then will the tread think about wearing down. The thing that makes this tire so great is also what keeps it from the top if the list. It's not inferior to the other choices by any means. It has great mileage, consistent traction on wet and dry surfaces, and the radial construction gives top notch stability. So why isn't it higher? Because Continental wanted a tire that any type of rider could get in to, so to go that extra step and make it high end would be sacrificing affordability. It acts like a high end tire because it is one. Given that the nature of the tire is to be accessible to every level of rider, the cost to value ratio is especially high here. Beginners and casual riders alike can now have the high mileage and reliable traction of higher-end tires, all for a price point that will go very easy on the wallet. Not everyone wants to spend hundreds of dollars for a tire, but they still deserve to have great quality. It’s a little bit surprising that Dunlop only has one tire representing them on this list, but the offering that does manage to show up is quite the well-made tire indeed. Dunlop makes sold tires, so why aren’t they heard of more often? Likely because for the most part, they aren’t concerned with popularity, contention themselves with just putting out excellent products for every type of rider. This can at times lead to them be overlooked, which is courageous, because it deprives consumers of one of the best options available in a touring tire. Like it says up above, Dunlop tires are always just...there. As unremarkable as that seems one good thing about them is that every time one is put on a bike, it's going to deliver the same performance, without fail. No more worrying about how well the tire is going to hold up, that peace of mind is welcome. One thing that is rarely talked about when it comes to tires is fit. Sure, all tires are going to show their size right on the sidewall, but that doesn't always tell the whole story. A tire that fits one type of bike perfectly may struggle on another. These tires eliminate that and fit any compatible bike with absolute ease. Dunlop tires are very consistent, and aren’t likely to make any waves. They are of a high quality for sure, but also classic and understated. The same thing can be said for the cost. Not the cheapest by far, but also nowhere near being considered expensive. Priced right down the middle but made to compete with the top competitors, value is one area where they overachieve. Pirelli, a company known for their high quality race tires, makes an appearance, ending off this list quite nicely. Everything they’ve learned over tier years on the racetrack has translated perfectly into these street worthy tires. The sleek design and sturdy grip will keep riders in excellent shape for the duration of their ride, taking each corner with absolute ease. Plus, for those who like to ride just a little bit faster, these are still racing tires at heart, so go ahead, take them to some nice dry pavement, open up, and enjoy the thrill of the ride. Another perk of having a street tire designed by a racing manufacturer is the insane amount of attraction that grips to the road and won’t let go. As long as these tires are properly heated up, the bike isn’t going to leave the road under any circumstance. From straightaways to the tightest corners, these tires will hold true. Looking at these tires, it’s easy to see that Pirelli couldn’t fully leave the racetrack behind, because the design just screams durability and performance. It takes a lot for a tire to make a difference on the race track, and tons of attention to detail is required. These Pirelli tires aren’t on a track, but that doesn’t mean that they make any sacrifices. While these tires are meant for street riding, they are racing tires designed for the track first. This decreases their versatility somewhat, relegating them to more experienced riders. What those veteran riders get though, is a very affordable tire that oozes value and performance. 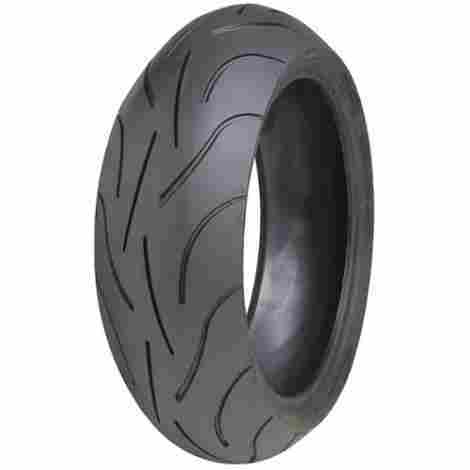 Riders who live for track days will benefit the most from these tires. After all that, it should now be clear that all of the different options of motorcycle tires on the market are there for a reason. Unlike many other products, the market for these tires isn’t flooded by a wealth of shoddy manufacturers pushing inferior products on to unsuspecting consumers. There are too many standards in place to allow anything but the best tires in terms of safety and performance to make it on to store shelves. There are so many different tires available because each combination of rider and bike are different, regardless of the classification. That being said, not every tire is going to work the same way for everybody, and there are several reasons for this, that range from weight requirements and frequency of use, to terrain type and how hard the rider likes to push their bikes. So, each tire on offer needs to provide as many options as possible, in order for each rider to achieve optimum performance and safety form them. So the best option would be for the consumer to take a buying guide like this and use it as a jumping off point to gather as much information as possible before looking at options. It can’t be stressed enough, however, that the most important thing to take into consideration is knowing how they ride. Once all the introspection is out of the way, then the real fun of choosing the perfect tire can begin. While out on a ride, there isn’t much between the road and the rider besides their bike and the tires that move them forward, so it’s important to make sure that the right choice was made. Before diving into the criteria for choosing the perfect motorcycle tires for the road ahead, a bit of a disclaimer is in order. As a nice little change of pace, the price will not be counted as a factor to determine the best fit. Yes, obviously, it is going to play a part in the decision-making process for the individual, but there are more important aspects to take a look at first. When the safety and well-being of the rider is concerned, how much something costs should have as little to do with the final choice as possible. Think about it for a second. The tires on a motorcycle are the first thing between the rider and the harsh, unforgiving pavement, so it would only make sense to place greater importance on those criteria that directly affect the performance, comfort, and safety of the overall experience. Once all of the factors have been given proper consideration, and a set of guidelines has been established, only then should the issue of price be brought back into the fold. Because really, how much something costs is of little consequence once the rider has been involved in a serious, life-threatening crash. Before going out, or online, to buy that next set of tires for their motorcycle, riders need to first sit down and determine what type of tire they need. This is done by figuring out their preferred riding style for their particular bike. Whether it be a cruiser, street, dual sport, or dirt, each different bike and riding style will affect how the tire will be called upon to perform. Also, depending on the class chosen, the tread pattern will vary, changing how each one rides on a given type of path. Cruiser bikes are the big, loud, bikes that everyone associates with burly bikers. These bikes are popular for, well, cruising. They are designed for long-distance rides and take a lot of abuse and punishment out on the open road. Because of this, the tires need to be thick and strong enough to hold up to all the wear and tear, as well as have a tread pattern that provides the greatest amount of grip on the pavement. The most sought-after touring tires are known as bias-ply tires. These tires are reinforced with plies, giving them superior stability from the deforming and warping effects of the road. They will also last much longer than radial tires, and provide a less stiff ride, though they do sacrifice a little bit in the way of traction. One way that bias-ply tires combat this lack of grip is to use a softer rubber, though this reduces the mileage that the tire can hold up to. Radial tires are also used for cruisers thanks to the greater traction they provide, but they aren’t as comfortable and won’t last as long before wearing out. Another popular style of bike that combines the best aspects of long distance riding and pure speed is the street bike. These are smaller and more streamlined than the larger and bulkier cruisers. Street tires also need to be sturdy and durable because they can see just as many miles as cruisers but also tend to be put in higher speed situations more often. Also, since they are widely used on city streets for commuting around, the tread needs to have channels in it to keep water away during stormy rides, in order to prevent the tires from slipping on the pavement and potentially causing an accident. Radial tires are usually the preferred choice for street style bikes, as their increased stiffness offers greater responsiveness. Radials do tend to be a bit pricier than bias-ply tires, so that is something to at least be aware of. Dual sport tires are for those riders who aren’t satisfied with being confined to one type of terrain. These bikes are designed to be just as happy on dirt tracks as they are on city streets. Choosing the right tire for this style of riding, however, can be a very tricky proposition. This is because the rider needs to first assess how much of their riding time they spend on each terrain. Dual sport, or ADV tires, have a ratio shows how they are meant to be used. For example, an ADV tire may show a ratio of 40% street/60% dirt. This means that they are intended to be used on off-road surfaces more than half the time, and are designed to accommodate this. The ratio takes into account three main characteristics: Knob size, or how much surface area makes contact with the road; tread depth, which indicates the amount of softer material that can be displaced on order to reach better surfaces for traction; and pattern shape, which are the grooves that are cut in to the tread, and determines the overall grip on the road. So, to illustrate the point a bit, tires that are meant to be used in the dirt more will have taller knobs, an deeper tread, and a wider pattern to allow for the most traction in a softer, more forgiving type of terrain. The final category, dirt, is meant exclusively for off-road use. While it is fine to use them on pavement occasionally, the hard surface will quickly wear down the knobs and tread of the often softer dirt tire, and most bikes rated for dirt use aren’t legal to be used on paved roads. The tread on these off-road tires are quite a bit deeper than tires used on pavement, in order to provide traction on looser surfaces. Also, the deeper and wider grooves allow the tire to sink in to the softer terrain, helping to maintain balance and grip. The majority of off-road tires are radials, as the rigidity is crucial for providing more traction. Off-road tires also tend to have a curve profile, leading to some of the treads to only make contact with the surface while turning. Size is, surprisingly, a deceptively important and difficult factor when it comes to the proper tire. There are many sizes available, and many of them will fit pretty easily on most bikes. That doesn’t mean that they are the right tires, however, and having the wrong size on the bike can cause some major problems. The biggest issue when it comes to finding the correct size is knowing what the correct size is. Once the rider figure out what size is ideal for their bike, then it’s time to try to figure out which tire is which size. How though? Well, actually, with a code that actually isn’t the hard to crack. 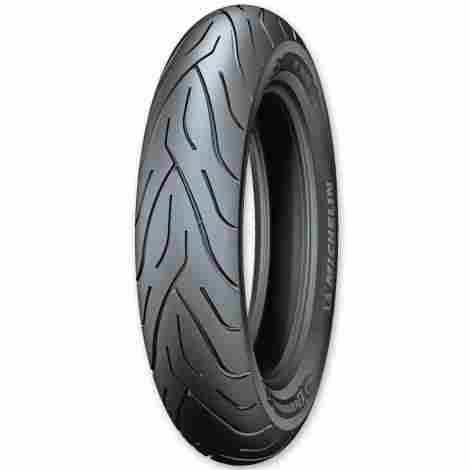 Take a look at the sidewall of any fairly new motorcycle tire. On it is a series of numbers etched along the circumference. Those numbers are the key to figuring out the right size. First, you need to figure out what unit of measurement is being used. There are three choices: alphanumeric, standard inch, and metric. The current industry standard is metric, so chances are pretty good that the other two will rarely, if ever, be encountered. The first set is the section width, and this will always be a three digit number. It represents the width of the tread, in a straight line from one end of the tire to the other. The aspect ratio is next, and is generally a two digit number. This ratio shows the width of the tire as a percentage of the height. As can be guessed, the higher the number means the taller the tire. In between the numbers is a set of letters. The first letter is a code, known as the speed rating that describes the speed that a tire can optimally run at when properly inflated. The letter designation runs from J to Z. The next letter is almost always an R, and this denotes the tire’s radial construction. The rim diameter is next, illustrating the measurement of the rim, in inches, from one lip to the other. The construction of the tire has been mention at various points throughout this guide, but in an effort to make it as accessible as possible; all the information will be compiled here. When the construction of the tire is mentioned, it is referring to types. 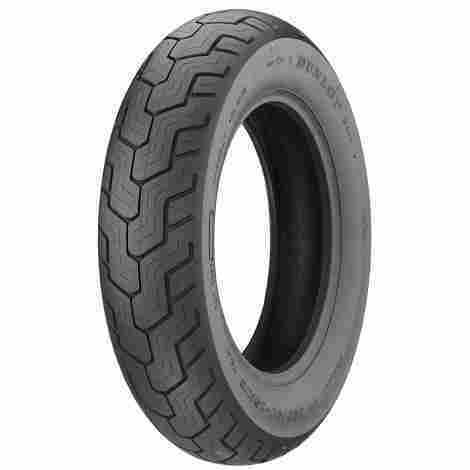 Tires can be based off either a bias-ply construction or the much more common radial design. Bias-ply was the method originally used for building automotive tires, and was very popular up until the past few decades. These tires have a fabric inside them whose threads run at a diagonal through the tire. While this method gave the tire a good level of structure, they weren’t as rigid as the newer designs. Bias-ply tires tend to last a lot longer and ride quite a bit softer due to being less rigid. The also gave up quite a bit of traction on the road, which is a leading reason why they were so easily overtaken in popularity. Radial tires are a much more recent addition to the world of automotive technology, but their benefits quickly made an impact on the market, to the point where today they enjoy almost 100 percent market share. The plies on the radial tire runs across the tire at a 90 degree angle to the direction of movement. These tires are fairly rigid and have much better traction than bias-ply tires, though they do have a tendency to not last as long, wearing out the tread and degrading much sooner. ADV: The term ADV is short for Adventure, which refers to both a type of bike, as well as a style of riding. Also known as dual sport, this type of bike can be found both on and off road. Radial: A style of tire in which the plies are perpendicular, or radial, to the direction of the road. They contain more flexible side walls, a longer tread life, and offer a softer ride than bias-ply tires. A benefit of this style of tire is reduced fuel consumption because of the reduced rolling distance. Tread: The tread is the rubber covering the circumference of the tire that makes direct contact with the surface of the road. The thread contains a pattern that enable the tire to have a strong grip with the road. As the miles put on the tires increases, the friction caused by the contact with the pavement will start to wear down the tread. As this happens, the tree’s ability to provide traction is significantly reduced. The grooves found on the surface of the tire are often mistakenly referred to as the tread, but it is actually the tread pattern. Bias-ply: A type of tire that has fabric layers with the threads running in a diagonal pattern, cross-wise to each other. They aren’t as rigid as radial tires, but also provide less traction with the road. Bias-ply tires have been in production for several decades, but have been consistently phased out on favor of the newer, more road-friendly radials. Grip: Another term for traction, grip is the tire’s ability to hold to the road. In more scientific terms, it is the amount of resistance between the tire and the ground, reacting to the torque being produced by the axle. The rubber of the tire is directly in contact with the road, and the traction produced allows the vehicle to move forward. Without proper traction, the horsepower of the engine is wasted because it alone can’t move the vehicle. OEM: Original Equipment Manufacturer. This refers to the original parts that come with a given product. For motorcycles, it is strongly recommended, when changing tires, to stick to the same size and rating as the tires that first came with the bike. Load rating: This is a code representing the total weight tolerance of the tire before it begins to give out. This code can range from the low twenties to the high eighties. Aspect ratio: This is displayed as a two digit number, and concerns the sizing of the tire. It is the width as a percentage of the total height. Section width: This also concern the sizing of the tire, and is most often displayed as a three digit number, this is the measurement of the width of the tire tread in a straight line from one end to the other. Tire pressure: The inflation pressure of tires. This is also known as cold inflation pressure, and is the standard used to determine optimum pressure. It is measured before the vehicle begins to move and the tires have a chance to heat up. All tires come with a recommended optimum pressure, and a different amount can impact the performance and handling of the vehicle, as well as reducing fuel economy. Break-in period: Since tires are comprised of multiple layers of various materials including rubber, metal, and fabric, many automotive experts suggest giving them a period of time to break them in, so that they can achieve maximum performance. As they are being made, the tires go through a curing period. During this time, manufacturers apply a release lubricant to allow them to be easily removed from the mold. As the tires are used, some of this lubricant remains, reducing traction until the top layer is worn away. The suggested procedure for the break-in period is 500 miles of easy acceleration, cornering, and braking. Cruiser: This is a motorcycle with a very American bike style that was in production from roughly the 1930’s through to the early 1960’s. It was a style made famous by Harley Davidson, and is still seen today in modern touring bikes. The main characteristics of the engine on a cruiser is easy rideability and shifting, with ample torque but not very much horsepower. These bikes are the most common style used by riders who travel long distances at a time. The design aesthetic of the bike encourages a riding position with the feet forward and the hands in a raised stance. This keeps the spine either straight or slightly bent forward. Street bike: These are motorcycles that have been specifically built to be used almost exclusively on paved roads. This category includes various types of bikes, including roadsters and muscle bikes. Cruisers also technically fall under the street bike category. Q: Does the type of tire I choose really matter? As should already have been made fairly clear in the above sections, having the right kind of tire for each specific bike and riding style is absolutely crucial to safety, performance, and, in the long run, overall enjoyment. Each type of bike demands different things from their tires, be it traction or level of air pressure. This means that the tire has to be specialized to meet those requirements. Q: Can I use racing tires for everyday riding? While it is technically possible, it is highly recommended to not do that. Racing tires are designed to essentially stick to the surface of the track, for a very short period of time. They have almost no tread patterns, so the entire surface area of the tire contacts the road and provides greatly increased traction. On completely dry surfaces, this can work well, in theory. Add a bit of water, though, and things get real dangerous, real quick. Q: Do tires work the same in all weather conditions? 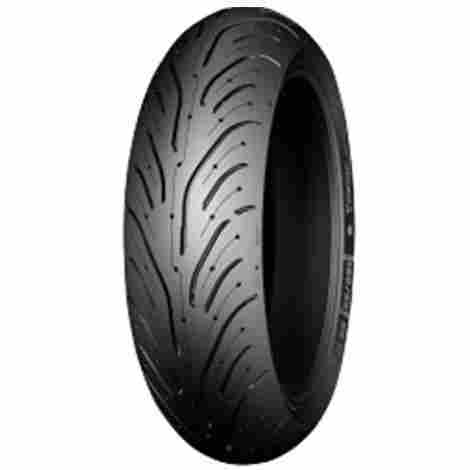 Motorcycle tires are specialized to work differently in certain weather conditions. While all tires perform better in dry conditions, some tires, like the dual sport or dirt tires, can hold up quite nicely in wetter or muddier conditions. For all intents and purposes, all tires are meant for warm, dry weather, and any serious fluctuations can affect the traction, as well as the tire pressure. Alterations in tire pressure can then in turn cause their own problems. This can affect traction, stability, and fuel consumption. Q: How long do motorcycle tires last? All tires have their own individual ratings for how long they are expected to last, but a general rule of thumb is approximately 20,000 miles in optimum conditions with regular wear and tear. How hard or how carefully a person rides can have a pretty drastic effect on this number, bringing it down by thousands of miles, or, if taken care of properly and diligently, increasing the lifespan by almost double. Q: What’s the difference between radials and bias-ply tires? The terms bias-ply and radial have to do with the construction of the tire. Bias-ply is where the fabric inside the tire has threads that run in a diagonal pattern across the tire, crosswise from each other. This type of tire tends to last quite a bit longer, though they do sacrifice some traction. Radial tires, which are a more recent innovation, are quickly becoming the go to tire for all types of bike. They have the plies running across the width of the tire. They are more rigid and offer superior traction, but they do break down quicker. Bike Bandit – Bias-ply vs. Radial: Which One Is Best For You?